Learn more about The Ocean Warrior Course here. Typically, the class is available for more than $400, but for a limited time, it’s being offered to The Inertia readers for $99. Check it out now if you’re curious. If you looked up the word “badassery” in the Oxford English Dictionary, you wouldn’t find any pictures. But, if the folks from Oxford are reading this, might we recommend a photo of one Shane Dorian, who, by all accounts, embodies the term? Following his retirement from the World Championship Tour in 2004, Dorian spent the next decade-and-a-half at the fore of big wave surfing’s paddle resurgence. 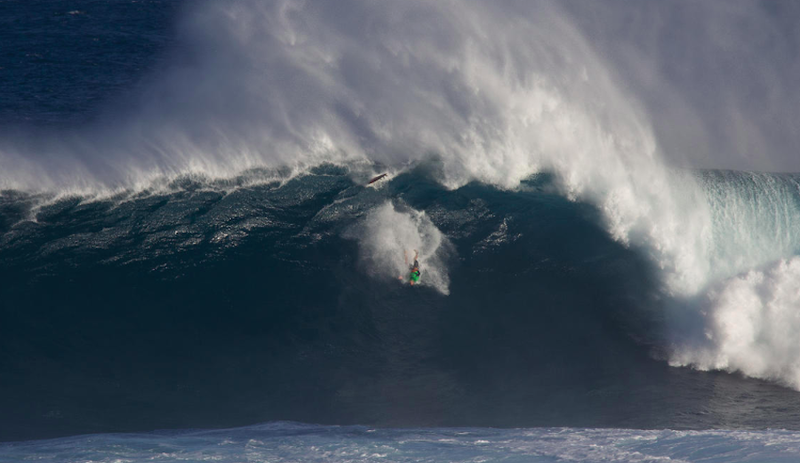 In the process, he’s stuffed a handful of the biggest barrels we’ve seen dished out at Jaws. But, as a husband and father, Shane Dorian understands the importance of pursuing the biggest waves possible while mitigating risk. Indeed, in his lifetime Dorian has experienced gripping loss. Not least of which was the death of his friend Todd Chesser–a serious blow that he, Kelly Slater, Rob Machado, and others talk at length about in HBO’s Momentum Generation. Mitigating risk is precisely what propelled Dorian to pioneer the inflatable vest, which many professional big wave surfers have adopted. Beyond that, though, Dorian trains body and mind for the worst: lengthy hold-downs and ragdoll-related disorientation. 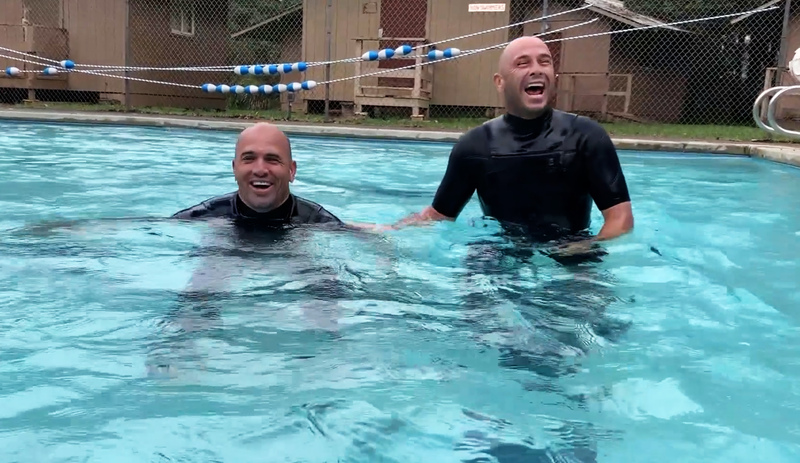 He recently test-drove Mark Visser’s Ocean Warrior Course with bud Kelly Slater and explained that it was hugely beneficial to his big wave survival toolbox. The Ocean Warrior Course was developed by Mark Visser, big wave aficionado in his own right and the loon who famously surfed Jaws at night. After a near-drowning as a kid, Visser spent years absolutely terrified of the water. It took time to overcome those fears. Now, he’s pioneering a course that’s equal parts safety, awareness, and simulation. Surfers are trained in CPR, rescue, and basic first-aid, and taught simple techniques to increase their breath hold and stay calm under the surface during an extended hold down. While surf specific, these techniques aren’t just for the big wave inclined.